I have finally got my hands on some navigation gear! I'll spend the winter fitting and fettling the roadbook setup which includes a Touratech electric roadbook holder. 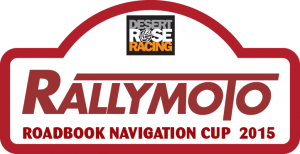 Then I'll practice as much as possible using the Rally Navigator online roadbook designer (which is absolutely brilliant by the way). I can't wait to get started! This also means that I can confirm my entry into the 2015 RallyMoto Cup in the Rally Lites category, where I will aim to compete in all 3 rounds.